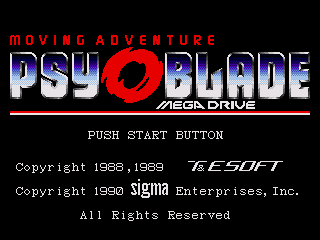 Psy-O-Blade is an adventure game for the Sega Genesis. In 21th century, there are three main powers on the Earth. The free world and the communist block carried over from the 20th century; the third power is the New Communist Federation. Since a program of denuclearizing was supported by all those powers, the New Communist Federation developed a devastating non-nuclear weapon: the satellite “Raiden”. 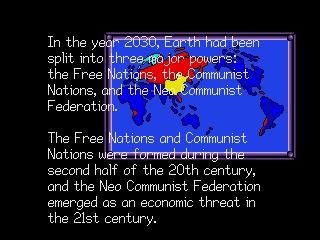 The two other powers competed with the New Communist Federation, developing their own killer satellites, and the danger of total annihilation became once again an issue. Seeing no future for the Earth, humans started to colonize other planets. In 22th century, they sent an experimental ship “Septemius 1″ to a star six light years far away from the Solar System. The ship’s main computer, “Racoon”, sent a strange message before stopping any communication. You are Keith McDonnell, a seventeen-year-old crew member of the ship “Septemius 2″ that was sent to investigate the strange disappearance. Will you be able to uncover the mystery? 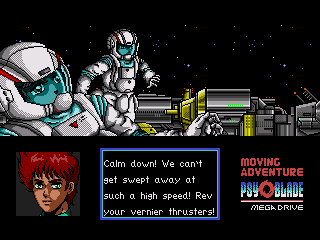 This game was released from 1988 on various japanese computers (FM77, MSX2, PC-88 and PC-98), and a Sega Megadrive version came out in 1990. 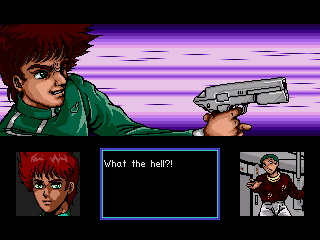 This is an English translation of this Megadrive version. The english translation was made by Eien Ni Hen. Tryphon delt with the hacking side (latin glyphs, variable width fonts, translations of images). The translation was proof-read by various members of romhacking.net and sega-16 boards, among which PresidentLeever, boombafunk, goldenband and his wife. 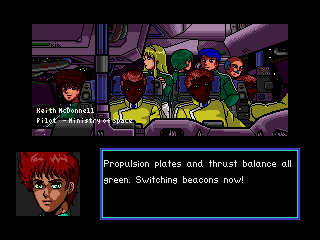 This patch also fixes a bug in the original game, where you had to select twice a location in the menu to proceed. Another bug, present in the original game too, couldn’t be fixed : at a certain scene, when facing Arthur in the experiment Room, selecting an entry in the menu crashes the game. It’s very rare (less than 1/10) and umpredictable : if you simply reload the game, and select the same entry, the game will likely run flawlessly. If you ever find a typo, or a bug, or whatever, feel free to report it to this thread.